Our Gutters have an Ogee profile and are produced in two profile sizes, the 125 mm or the larger 150 mm. 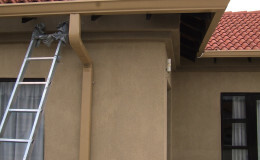 Our residential and industrial gutters easily collect and deliver water from large roof areas. The gutters are attached to all eaves by means of internal tacking components consisting of internal Aluminium brackets, self drilling screws or 3inch serrated nails drilled 650mm apart. 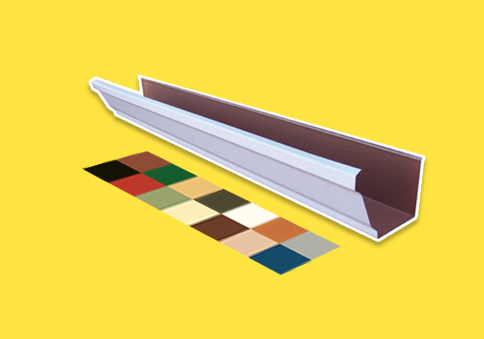 Gutters are available in multi-colors that blend in and lend a professional finish to your home or development. Installing fascias is recommended as they complete the overall look of your house and ensure that gutters look neat. We also do custom Aluminium / Colorlume fascias to match our guttering system.